Home » Thank you, Peggy! 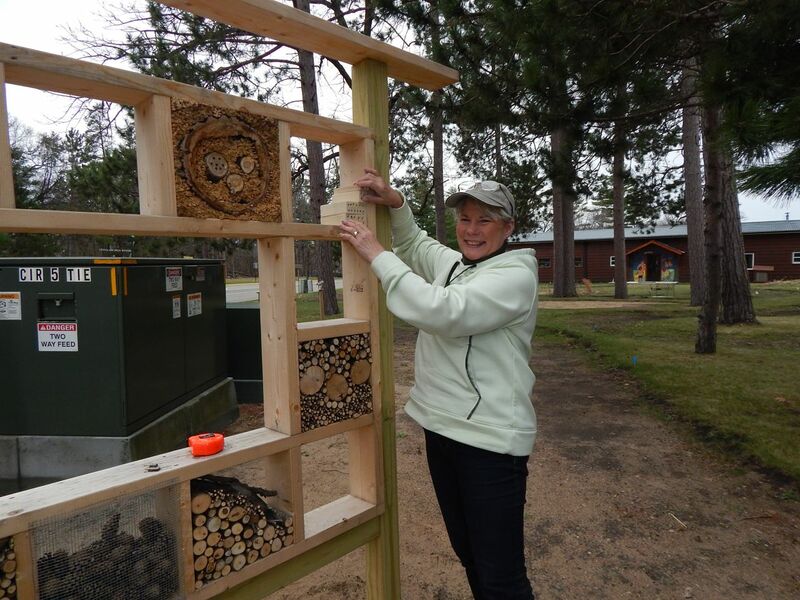 Peggy Fowler, Byway member, and MN Master Naturalist, created this Insect House (seen here in its early stages) near the entrance to the Gardens. 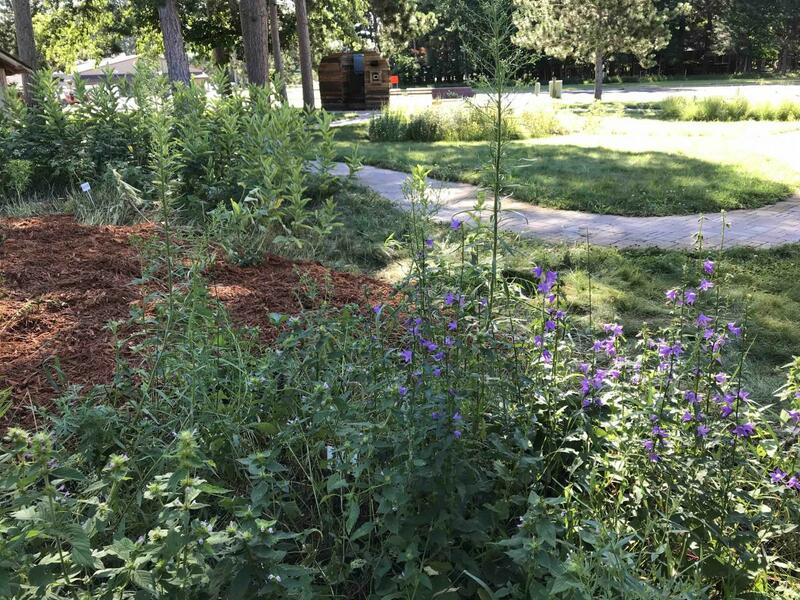 Foraging garden July 2018, after Peggy and a group of members volunteered time and labor to weed and mulch these native plantings. Another view of the Foraging garden. 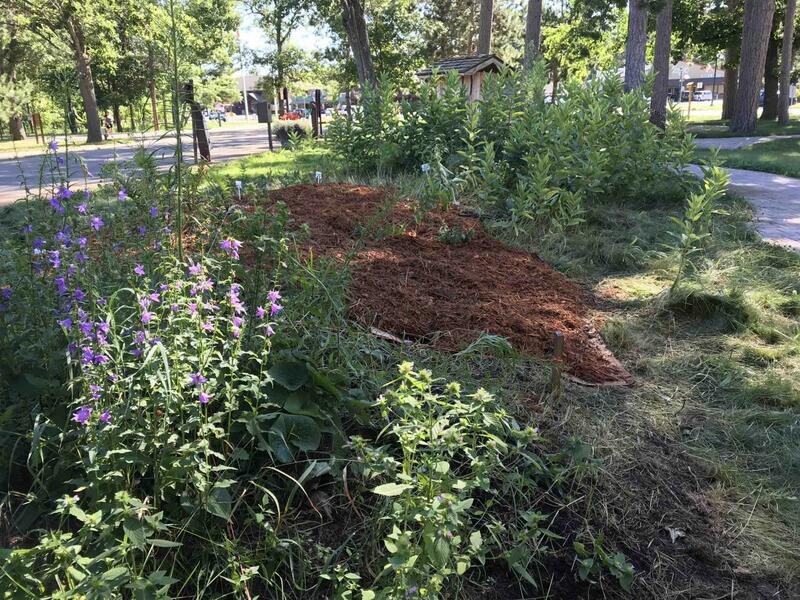 A Bunyan-sized Thank you to Byway member and Minnesota Master Naturalist, Peggy Fowler for her countless hours of weeding, mulching, and organizing the gardens here at Linda Ulland Memorial Gardens. 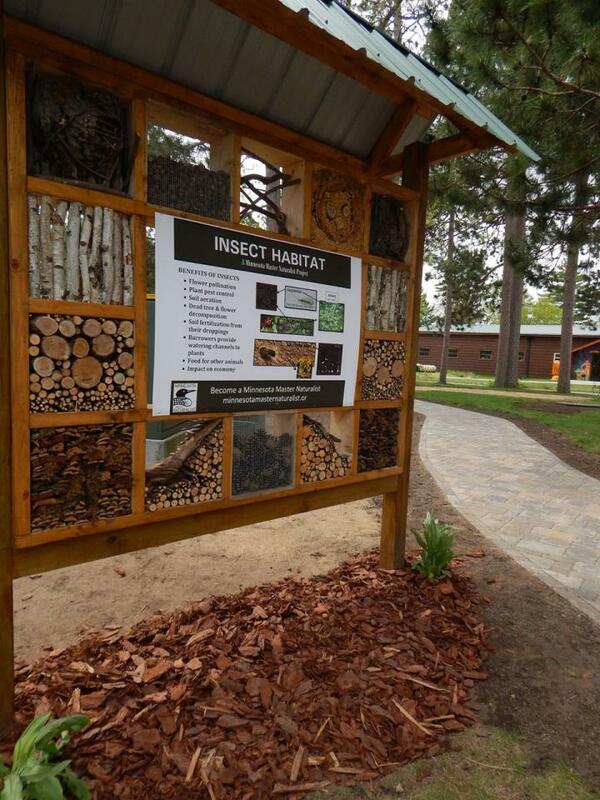 Peggy's first project upon joining was the Insect House which is located near the garden entrance. 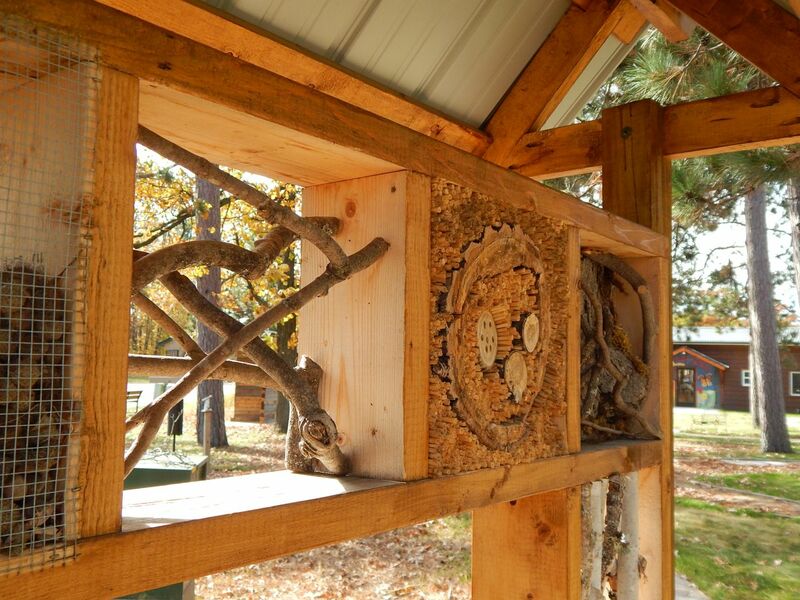 The unique structure offers nesting sites not only for bees but provides shelter to a wide community of pollinators and other beneficial insects.